CEMATEX, the European Committee of Textile Machinery Manufacturers, has announced that it has awarded a contract to a new company, ITMA Services, to organise its ITMA 2019 show. The German iNTERSPARE, a textile finishing machine manufacturer, is looking back very positively at the ITMA 2015 in Milan at the end of the first quarter 2016. This relates to both the number of visitors to the exhibition stand as well as successful follow-up business. The shrink dryer, exhibited as the main showpiece at the world's largest textile machinery fair, was successfully sold shortly after the fair to a customer in India. And there are numerous other order inquiries for Syncro and other systems. For many years, Rieter has been committed to encouraging textile trainees. In 2015, the Company organised two events for promoting young professionals: in September it was the presentation of the annual Rieter Award and in November a project for the ITMA 2015 in cooperation with fashion design students of the Secoli Institute in Milan. ITMA 2015, in Milano, has been outstanding despite the global uncertainties. Bruno AMELINE, the President of the French machinery manufacturers association confirms: “the French exhibitors met many more customers than they expected; many historic, long time, new and future customers who came with real projects. EFI™ Reggiani exceeded all expectations for sales and leads at ITMA 2015 as visitors gathered to see the industry’s most-complete offering for the entire textile process – from yarn treatment to fabric printing and finishing – with a range of traditional and digital textile printers, pre- and post-treatment machines, sustainable, water-based inks and production workflow technologies. This year will have been one of the most successful financial years in the recent history of German circular knitting machine manufacturer Mayer & Cie. In its 110th year in business, the company will have manufactured and sold more machines than in any of the past ten years or so. ITMA, the international textile machinery show and leading industry trade fair, ending in mid-November in Milan, gave the company’s sales curve, which has been rising for years, a further upward boost. ITMA Milan 2015 has definitely been a great success for Marzoli: more than 3 thousand visitors from over 80 countries, several contracts finalized with major clients and, above all, a great deal of interest towards Marzoli machines and innovations. Stäubli presented its latest innovations in textile machinery at the recent European ITMA, held in Milan from 12 to 19 November. A total of 13 novelties were demonstrated, all of which offer greater advantages and are aligned with the needs and expectations of the market. Industry representatives and other visitors from around the world responded with great interest. 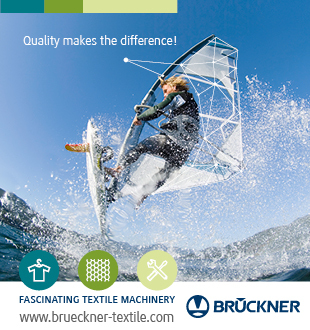 This year’s ITMA in Milan was for the German textile machinery producer BRÜCKNER in every respect a complete success. The new corporate design underlined perfectly the guiding idea of the exhibition to provide for more sustainability in the production processes of the textile value-added chain. The great number of visitors and the quality of the discussions exceeded by far the expectations. Based on latest technologies presented at ITMA in Milan, Oerlikon’s Manmade Fibers Segment received a number of large orders totaling more than CHF 50 million for their Oerlikon Neumag staple fiber plant engineering technologies. Enormous demand and a record number of visitors – that applied to the ITMA 2015 as well to Groz-Beckert's booth at the show. From November 12 to 19, 2015, with all its diversity and performance, the textile industry was on show at the ITMA 2015 in Milan, Italy. Groz-Beckert also used this leading trade fair as a platform to showcase its ever-growing range of products, but also to present the professional public with innovations for the first time. ITMA 2015, the world’s leading trade show for textile machinery, exceeded all records in Milan this year. With more than 123,000 visitors from 147 countries, the show was busier than ever. The CREALET booth was bustling throughout the show with guests gathering information on the latest products and services. DiloGroup was the only nonwoven machine manufacturer to show on its booth, with a surface area of more than 1200 m², two complete lines which were operated with fibre. The recent ITMA exhibition in Milan was one of the most successful exhibitions ever in the 70 year history of R+F. Over 450 visitors at the prominent R+F booth mark a record. But more important is the large number of discussions with high professionals who showed great interest in the latest developments of German Reiners + Fürst. Responding to the demand by the coating segment for textile finishing, A.Monforts Textilmaschinen has announced a single source for new and innovative one-stop solutions; particulary for technical textiles. Following the takeover of ‚knowhow‘ of coating specialist Timatec – announced at ITMA – Monforts will, for the first time, offer a complete package of coating solutions for all types of coating applications – ensuring increased profitability, flexibility and functionality . The latest edition of the Italian Textile Technology Awards was held as part of the promotional activities linked to ITMA Milan 2015 (12-19 November 2015). VDMA member companies are extremely satisfied with ITMA 2015 in Milan. 96 percent stated that both the quantity and the quality of visitors to their booths were good to very good. 87 percent evaluate the prospects for post exhibition business to be good to very good. These are the main results of a VDMA survey to which 53 exhibiting member companies responded. WEKO Weitmann & Konrad GmbH & Co. KG convinced the denim manufacturers at the ITMA Show in Milan of a new finishing process. The process is based on the proven non-contact minimum application system WFA (WEKO-Fluid-Application-System), which – in addition to an important process speed-up – offers optimal quality results also standing up to the critical look and the hand feel analysis for softness of the international denim manufacturers. The Swiss based SSM Schärer Schweiter Mettler AG and SSM GIUDICI showed eight new product launches and a total of fourteen applications on their booth at ITMA in Milan, Italy. The new XENO-platform attracted an extraordinary number of visitors. SSM, the inventor of the electronic yarn traverse system, continued their tradition of trend-setting with the presentation of breakthrough technologies. EURATEX, the European Apparel and Textile Confederation, held its 4th Convention on 18 November in Milan in conjunction with ITMA textile technology fair. This year the event was organised together with EURATEX’ Italian member federation Sistema Moda Italia and the Italian association for the technical textiles TexClubTec. The Convention was dedicated to sustainable innovation of the European textile and fashion sector. The global textile and garment manufacturing industry converged at ITMA 2015 in Milan to source innovative solutions to enhance their business sustainability. Their commitment to sustainability is evident from the strong industry turnout. At the end of eight days, the 17th edition of the world’s most established textile and garment technology exhibition attracted visitorship of almost 123,000 from 147 economies. In the field of spun-dyed filament yarns, Oerlikon Barmag succeeds another quantum leap by offering solutions for the efficient production of spun-dyed polyester POY and FDY microfiber yarns under practicable marginal conditions when using the EvoQuench radial quenching systems. The new Autoconer 6 from Schlafhorst proved a global sensation back at the start of the year with its groundbreaking innovations. At ITMA 2015 the German textile machinery manufacturer will now unveil the new automatic package winder to the general public for the first time in a brand-new, improved version: with the E3 label. E3 is synonymous with triple added value in the Energy, Economics and Ergonomics categories. Oerlikon Manmade Fibers Segment has tailored its Customer Services even more closely to maximum efficiency, productivity and competitiveness in textile production. With the availability of two new fluorescent inks for its TS300P-1800 inkjet textile printers, Mimaki is demonstrating these new neon fluorescent inks, available in yellow and pink at ITMA. The inks are developed for fashion, sportswear, swimwear and shoes and are specially made for use in the low-volume high-quality sublimation paper transfer market. Transparent as water - After the digital single-pass revolution, MS PRINTING SOLUTIONS takes on a new challenge. On the occasion of the opening evening of ITMA, the international trade fair dedicated to textile technology, MS Printing Solutions has chosen the city of Milan to launch a new challenge under the sign of sustainability on the path to 2020. Presented at ITMA for the first time, the brand new LabMaster series sets a new standard for laboratory measurements. The testing devices integrate the most important measurements into one system. LabMaster consists of the two measurement devices FiberMap and YarnMap as well as LabMaster Top. 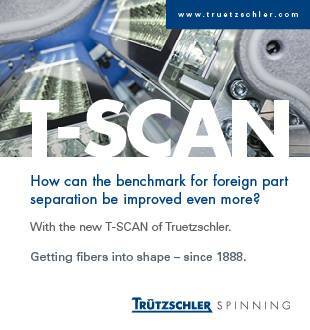 The integration of all fiber-related parameters into one instrument delivers the complete fiber profile throughout the whole preparation process of the spinning mill, from bale to finisher sliver. FiberMap provides data of standard HVI measurements and also neps, seed coat neps, trash and stickiness. As a precursor to ITMA 2015 and in order to encourage talent among graduating students from fashion design institutes, Colorjet Group, the largest manufacturer of digital textile printers in India, organised a design competition for fashion design students of NABA University in Milano, which has within its fold one of the renowned and leading fashion design institutes in the world. More than satisfied with the course of the ITMA 2015, KARL MAYER reports roughly 670 qualified customer conversation just for first three days of the exhibition. Visitors were mainly interested in the new tricot machines presented by KARL MAYER. Bräcker, the specialist of key components for ring spinning machines celebrated its 180th anniversary on Saturday, 14th of November 2015, during ITMA Milano. "Touché" – a European research consortium is examining how we perceive textile materials on our skin. Earlier this year, the European research project "Touché" was set up, with the title "Boosting innovation through application of a basic understanding of the process and testing of textile touch and fabric feel". The joint German-Belgian project, part of the CORNET (Collective Research Networking) undertaking by the "Otto von Guericke" e.V. Federation of Industrial Research Associations (AiF, No. 137 EN), is addressing as yet unresolved issues relating to the interaction between human skin and textiles, and how textiles are perceived. USTER innovations at ITMA 2015: five new systems to "manage a spinning mill with quality in mind"
Thies will be present at ITMA with "PASSION FOR INNOVATION"